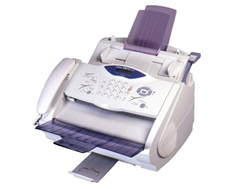 For a very old model, the Brother MFC-4800 fax machine / multifunctional center still carries all the basic functions required for many essential office tasks, it simply performs them at around half the speed of newer units. With printing, faxing, and copying all possible in this single unit, its possible that this machine could still be useful today. First of all, the unit's overall size is actually quite reasonable considering its age. With dimensions of only 15.6 in x 14.1 in. x 9.6 in. (W x D x H), the Brother MFC-4800 is actually quite comparable to newer MFCs in size alone. Its weight of only 16.5 pounds is also excellent for a fax device. Paper supply, though slightly less than the current standard, is still sufficient enough to accompany light duty needs, thanks to a 200 sheet capacity built in paper tray. The output tray of 50 pages also seems like plenty. The unit's 20 sheet automatic document feeder is another paper handling element that is slightly undersized, but still large enough to prove useful. PC interfacing can be done through either Parallel or USB ports. Just about the only copy feature available is a 2 on 1 or 4 on 1 mode made possibly by a primitive zoom feature, but this is still a very convenient feature to have in some circumstances. The scanner on the Brother MFC-4800 has a decent interpolated resolution of 1,200 x 1,200 dots per inch. The 14.4 Kbps modem on the Brother MFC-4800 is a major hit to the device's overall fax speed. 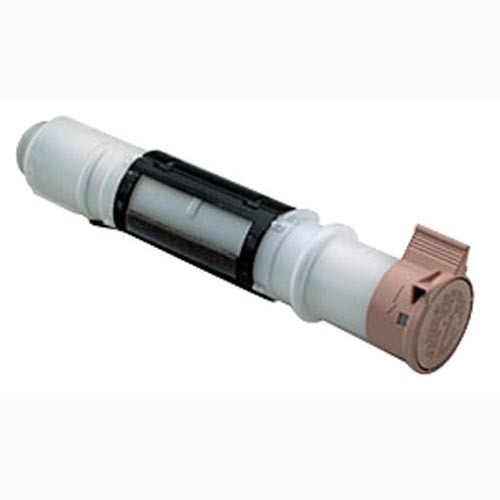 With the current standard of 33.6 Kbps Super G3 modems able to crank out 3 seconds per page, and even 2 seconds per page, of transmission speed, this models clumsy 6 seconds can get tiresome when dealing with large fax projects. Memory included, though useful in storing important fax information, is very limited at 2 MBs, and can burden printing and copying processes heavily. Copy speeds are terrible, and run at a maximum of 10 copies per minute. Additionally, the older Brother machines such as this are known for their poor reproduction quality, regardless of the copy resolution being listed at 600 x 600 dots per inch. Print resolution also runs at 600 x 600 dots per inch which is great for basic text documents, but not much else, especially since the Brother MFC-4800 is an exclusively monochrome unit. Copy features are very limited, though they do include reduction and enlargement in factors of 50 to 100%. Multiple copies can be made up to 99 at once, but you would be extremely hard pressed to find a unit still in operation that does not feature, "stacking," as this is called. 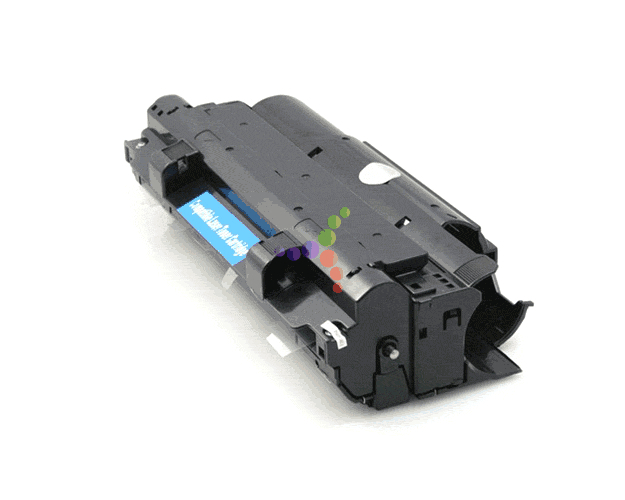 Review it: "Brother MFC-4800 "
Toner cartridges available for the Brother MFC-4800, though inexpensive, come with limited page yield. 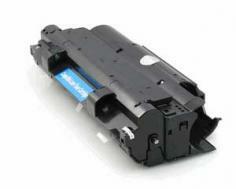 Each cartridge can put out around 2,200 sheets at 5% coverage, but the price truly makes up for the small page count. The drum unit that is still readily available can produce around 12,000 sheets.